Its pretty obvious that if you are riding your bike at night, you need to have a bike headlight. Your chances of getting hit at night, riding a bike skyrocket after sunset and the small investment of a bike light can save your life. If you like to ride trails at night your needs for a bike light are going to be different than someone who primarily rides in an urban environment. Offroad Riders Skip To: Best Mountain Bike Lights. Since the majority of collisions between bikers and cars happen at intersections the importance of your headlight is much more important than your rear tail light. If you have a flashing headlight then your visibility increases dramatically to oncoming traffic. Now you just need choose the right bike light for your needs. 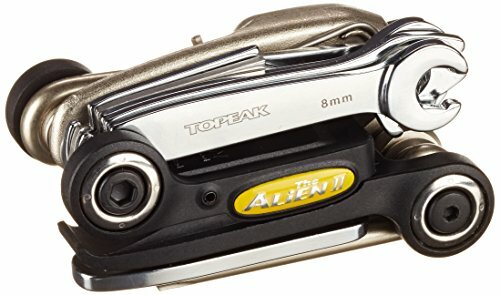 For more of my top gear recommendations, have a look through these popular Outside Pursuits guide links: Road Bike Helmets, Mountain Bike Helmets, Bike Computers. Here is a feature overview of my top 3 overall picks. Our guide and comparison table of the top rated bike lights will help you choose the right one for you. Battery External, rechargeable Lion battery. Internal, rechargeable Lion battery. External, rechargeable Lion battery. This is my overall top pick and my every day bike light because of its versatility, brightness and features. On its maximum setting it gives you 1200 lumens of light which is as bright as some car headlights! Because of its versatility the Bright Eyes may be the best bike light for commuting and off road use. When at max brightness its more than you need to urban riding, you can either tone it down to a more reasonable brightness setting or put it into flash/pulse mode for maximum visibility. The Bright Eyes features a quality CREE LED and a powerful 6400 mAh rechargeable lithium ion battery that gives you about 2 ½ hours in full power mode. When it was brand new I was getting up to 3 hours in the max brightness setting. The light mounts easily on your handlebars and is secured with a rubber strap that releases easily for taking it off to recharge. It stays secure as well even when you’re taking it off road for trail riding. The external battery mounts on your seat bar or the cross bar with Velcro straps and comes wires to run it along the frame to the light. What I like about this light is it also comes with a helmet mount and a headband mount so you have the ultimate in flexibility in how you use the Bright Eyes headlight. It even comes with a tail light. The Bright Eyes 1600 is my top pick because of its quality, features and flexibility and definitely one of the best bike lights you can buy at any price. The Cycle Torch 500 bike headlight is best for urban riding as it doesn’t have a wide enough beam for off road use in my opinion. It is however perfect for urban riding with a bright 500 lumens light with several brightness settings and a flashing mode. This light is best suited for city riding and is one of best bicycle lights for night riding on the market. The Cycle Torch uses an internal lithium ion rechargeable battery that fortunately is not replaceable. Another nice feature is the Cycle Torch can be used as a flashlight as well and easily snaps into the handle bar mounting bracket. The handlebar bracket is designed to fit easily and securely on any size diameter handle bar. 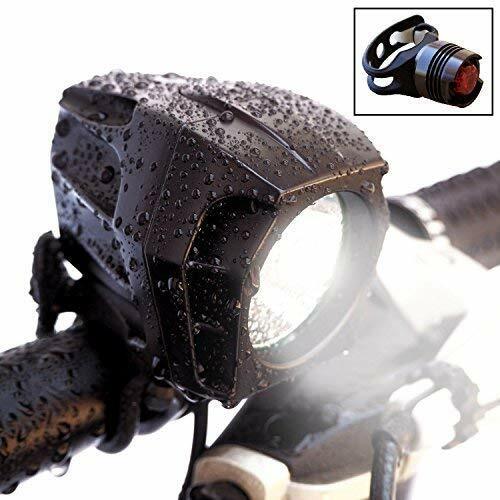 The light is lightweight and waterproof so it’s not affected by rain and mud. Cycle Torch stands behind the product with a “no questions asked” 1 year warranty! Pretty impressive, although you would be hard pressed to break it and if you did, you most likely have bigger issues to deal with! The Cycle Torch is one of the best rechargeable bike lights that can be used off road as well. This is a quality product and highly recommended. The Te-Rich 1200 has to be the best value bike headlight there is. While not as feature packed as some of the other ones I have reviewed, for what it does, it has no equal. It has 4 Cree XM-L2 LEDs that throw out a brilliant white light in a wide pattern so you don’t have “tunnel vision”. You do give up the ability to adjust the beam width at its price point but you have one of the brightest bike lights available. However, even at its bargain price you get an aircraft grade aluminum housing that is waterproof and shockproof. The light output is regulated so that the beam intensity is a constant brightness until the battery dies. It even has overheating protection circuitry. When running in “turbo” mode for extended periods of time the light can overheat but the circuitry will automatically dial down the intensity until it cools off. The light has an easy to mount, secure bracket that to attach to your handlebars sized from 10 to 35mm in diameter. It even includes a helmet strap! I’m not a huge fan of the helmet mount but many bikers swear by it. The external battery mounts just about anywhere on your bike with Velcro straps. The Te-Rich is by far the best bike light under $50. It also functions just as well as a commuter headlight. 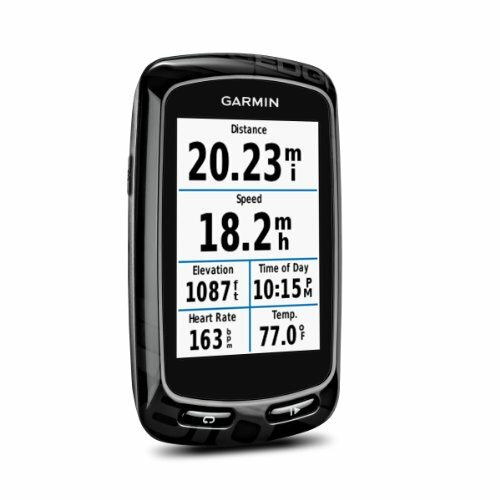 At its bargain price, you could easily mount one on your helmet and have one on your handlebars. The Te-Rich 1200 is one of the best bike lights available at a bargain price, highly recommended. I was very impressed the quality construction of this light when I took it out of the box. It has a solid feel of a bike headlight costing a LOT more. Its made of a rugged aluminum case that is also water proof. You can’t find an easier light to mount, just wrap the strap around your handlebars and tighten the mounting nut until it’s secure. Just be careful not to overtighten, you could strip it. Once it’s on the bars, it slides into the mount and locks in place. At 200 lumens your not going to take this light trail riding, it’s just not bright enough but that’s not what is designed for. 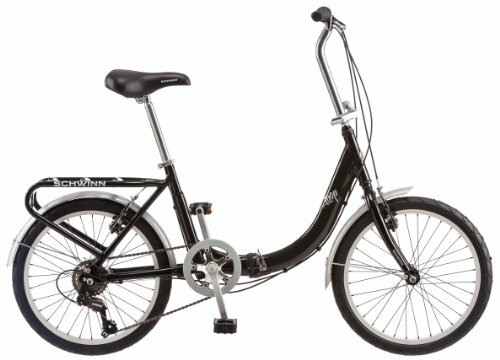 This is excellent choice for urban riding or maybe a country road. It has several power modes; I like the strobe function for urban riding around my house. On high power you get about 10 hours and the headlight uses 3 AAA batteries. It also comes with a rear tail light for free! It uses a 2 AAA batteries that last about 40 hours. It has three modes, fast and slow flash plus a steady on. I like TeamObsidian, its a small family run company that specializes in bicycle products and they have excellent customer service. The light has a 1 year warranty and TeamObsidian gives you a 60 day no questions asked warranty if you don’t like it for any reason. 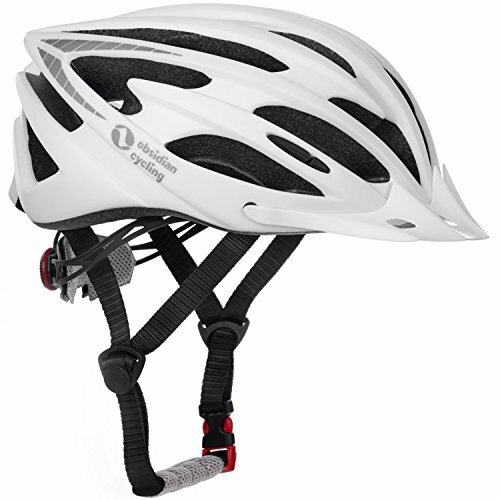 If you’re in need a bike helmet, I encourage you to read my review here. Easy to read “fuel gauge” and storage pouch. The NiteRider is primarily designed for off road use and features a blazing 1800 lumens of light. This really is brighter than the average car or motorcycle headlight! Maybe the best feature of this light is the quality of the beam, its WIDE and bright. This mountain bike light lights up the trails like it is daylight so you can see every obstacle on the trail. You will be able to see every tree root, ditch and see the turns in the trail in plenty of time to react. The NiteRider features quality CREE LEDs in a lightweight, durable package. It mounts securely and easily on your handlebars no matter the diameter. 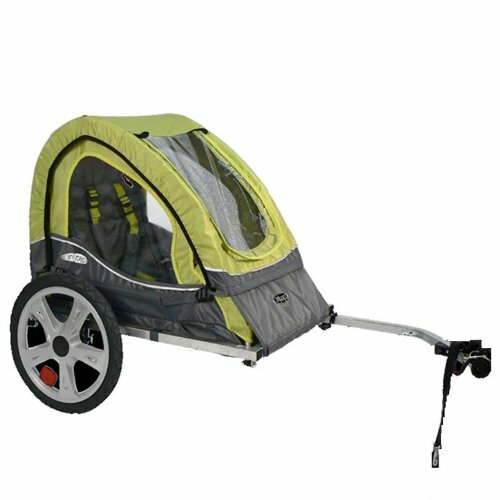 It features an external battery that mounts on the cross bar or seat bar with adjustable straps. One thing that I like about this bike headlight is it comes with a helmet mounting bracket as well so if you prefer the extra flexibility of having the light on your helmet you have that option. The light will last 1 ½ hours in full power mode of 1800 lumens, but can be dialed back to 400 lumens and will last 6 hours at that power setting. It even has a walking mode that will give over 24 hours of light. The lens is unusual as it has a “Borofloat” lens, which is a specialized almost unbreakable glass that can even handle the rapid cooling of being immersed in cold water that would shatter any other type glass. The NiteRider has an easily readable “fuel” gauge so you know exactly how much juice is left in the battery allowing you to make brightness adjustments or get ready to swap out the battery. When you want the best MTB light available, the NiteRider Pro is your best bet! I was shocked when I first turned on the Cygolite TridenX 1300, this is a seriously bright bike headlight at 1300 lumens when set to full power. You could probably use it as a car headlight, seriously it’s that bright. Of course brightness isn’t everything, quality construction and features are just as important. Cygolite has you covered here. The bike headlight has 3 CREE XM-L LEDs that give you a nice wide spread giving you peripheral vision, unlike cheap lights that give you tunnel vision. However, when you want a longer narrow beam, the Tridenx 1300 can do that as well. 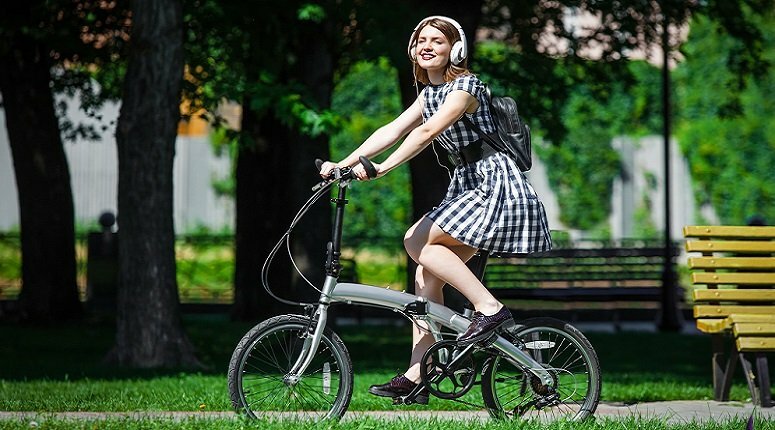 It has 8 lighting modes, everything from full power output, medium and low plus several pulsing modes for walking the bike to using it while riding during the day. Motorcycles use day running lights, why not bicyclists who are probably more likely to get hit? The first thing you will notice when you take it out of the package is the quality construction. It’s made from an aluminum alloy that is water resistant. Take it out in the rain, or if you are into mountain biking in wet conditions, not an issue. It will handle all the mud and dirt you can throw at it. The light mounts securely and easily to your handlebars and will stay on even if you dump the bike. If it does come off, you probably have bigger issues than the light…. The TridenX has a battery level indicator so you have plenty of warning when your running low on juice and need to dial it down a notch to save power. It comes with a high-capacity Lithium ion battery that is rechargeable, so no more expensive disposable batteries. With the larger size battery (390g), the run time is around 3 1/2 hours on full power and a ridiculous 76 hours on low power pulse mode. The smaller The Tridenx 1300 (260g) has a run time of about 1 1/2 hours on high to 36 hours on pulse. The Cygolite TridenX 1300 uses their patented OSP Technology that gives you the ability to program in exactly how you want the light to function and access those functions easily with the push buttons. I’m not sure it’s necessary, but it’s there if you want the customization. The Cygolite is one of the best LED bike lights for the money. The Tridenx is a US based company and its made in California and support is based there as well, so if you have any problems you will talk to someone from the US. It comes with everything you need, including a helmet mount, and a 36-inch extension cable allowing you to mount the external battery anywhere you like. This is not what I would call an inexpensive light but if you want one of the best mountain bike lights, it’s worth every penny. The Revtronic is made of aircraft grade aluminum that was machined from a solid block, once you pick it up you will feel how solid it feels! It has an anodized finish that doesn’t corrode or fade over time. What really sets this MTB bike headlight apart is the output. It has 4 CREE XM-L ultra bright LEDs that put out a steady 1600 lumens of light on high power. Just about all manufactures inflate their power output ratings and why many of them are not as bright as they claim but I think this on is. It comes with an externally mounted 5200 MAh Lithium Ion battery that straps under the crossbar of your bike with Velcro. In high power mode the Revtronic will light up a trail in the woods to almost daylight brightness. It has a wide beam allowing you to see the whole trail. Of course it’s not just for trail/mountain bike riding at night but it does work very well for that purpose. I actually like it better at full power for riding during the day. There is a reason that in most states if you have a motorcycle you must have your headlight on for visibility. When you have this light on, drivers cannot help but see you. Especially in the strobe setting. Just don’t ride at night in full power where cars are on coming, you will probably blind them! This is the brightest bicycle headlight available at 1600 lumens and comes with a one year warranty. There are two main types of bike lights available. Depending on what type of bike riding you do will determine which is best for your needs. These are small, LED bike lights that store in your saddlebag pouch and are typically not that bright. The main use for this style is for allowing cars and pedestrians to see you and not necessarily to light your way. Used mostly in urban areas where a bright beam would blind oncoming cars. This type of light is typically for off road use because you need a BRIGHT beam to light your way in total darkness. They are more versatile in that they can be mounted on a helmet of your handlebars. Being much brighter they are larger and have external, rechargeable batteries. These lights typically start at least 1000 lumens and go much higher. The Nite Rider Pro, Focal Series by Outbound Lighting and the Cygolite are good examples of a main bike light. 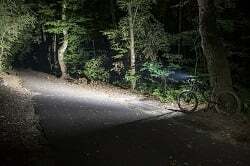 While the brightness of the bike headlight in lumens is obviously important BUT the QUALITY of the beam maybe even more an important consideration. If your light is just a very narrow beam you are not going to be seen as well nor will you be able to see as well in from of you. If its just a narrow field of view you may miss dangers to your right or left like, like a car door opening or if your riding trails a sharp turn in the trail. The bike lights reviewed varied from 200 lumens of the TeamObsidian which is more than enough for urban riding to an insanely bright 1800 lumens of the Niterider Pro meant for mountain biking only. This light would blind oncoming traffic and get you in some trouble. The better LED lights for bikes will have multiple beam patterns and brightness’s. I personally feel much safer riding the streets with a flashing or pulsing beam for maximum visibility because I’m not so much worried about being able to see in front of me as being seen by oncoming traffic. Being able to change the brightness is of course important since you may not always need the lights maximum brightness and the ability to change the wideness of the beam is a very nice feature to have. Some of the reviewed bike LED lights can double as a home or camping flashlight making them much more useful. There are two main ways to mount your bike headlight. 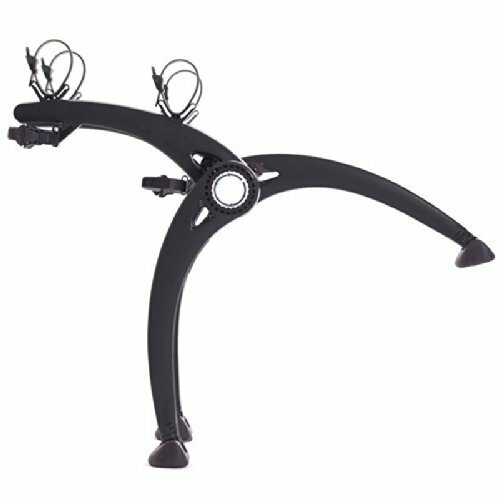 The most common being on the handle bars but some offer dual mounts and can be used on your bike helmet as well. I would consider this a better option for mountain biking because here you need to be looking farther out ahead of you looking for turns and other obstacles in the trail. A helmet mount gives you ultimate flexibility on where the beam is trained. Better yet would be having both, a handle bar mount AND a helmet light. By far the most common mounting style. 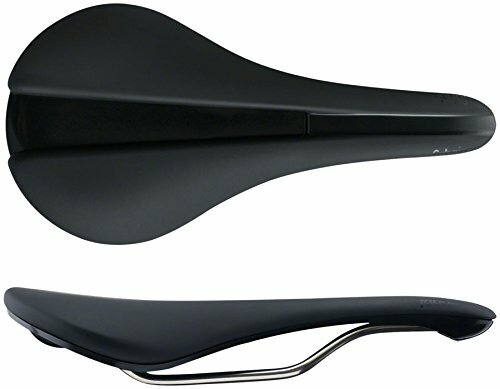 This style has a strap that wraps around the handlebars and tightens with a knob to secure it. This type can be used for both urban and trail riding and is simple to use, just push the unlock latch and remove the light, simple! A handy feature is the ability to swivel the light for light up signs and house numbers. This allows you to not have to stop the bike and turn the handlebars to illuminate them. Not too many lights have this feature however. This goes hand in hand with mounting. Primarily a concern for urban riders who take the bike light off to prevent it being stolen. This type of light should be able to fit in your pocket or purse without too much bulk. These road bike lights are typically powered by AA or AAA batteries and always handlebar mounted. Off road lights, lack the portability that the smaller safety lights have because they will have external batteries and a larger light. This type of light is not going to fit in your pocket and is not suitable for riding around town. As mentioned earlier the quality of the bike light is pretty critical. Having an evenly bright beam with a wide of angle as possible is going to be far more useful than a bright “tunnel” beam only illuminating a narrow field of view. Most USB-rechargeable bike lights are going to have a single 18650 battery, which you recharge through the USB port right on the light. USB-rechargeable lights are convenient since you will no longer need to buy disposable batteries. Bike taillights often use lithium polymer battery packs which are similar to those in cellphones. They’re made to be smaller and flatter so they’re less bulky. If the weather is starting to get cold and you’re going to be storing your light for extended periods of time, make sure to read the manufacturer’s instructions for how to properly preserve the battery life. USB rechargeable being by far the most convenient and cheaper to operate. Just take the light in the house and hook it up to the charger. Not only do you save on batteries and help save the environment a little bit but they also usually have longer battery life. AA or AAA batteries are going to feature a significantly lower energy density than lithium batteries, so it’s not advised to purchase a new light which uses these types. Maybe the sole advantage of AA or AAA lights is for an extended trip or to an area where you will not have access to electricity to recharge the light at the end of the day. All of the headlights in our bicycle light reviews will give you over an hour of light on the brightest setting. This is where being able to choose the brightness setting is handy because you may not need the brightest setting and having the light work for a longer period of time is more important than the most amount of light. All of the bike lights reviewed have rechargeable batteries only. None have the AAA or AA disposable batteries. This not only saves you money from having to buy batteries also more environmentally friendly. The all come with USB recharging cables you can either plug into your laptop/desktop or a wall outlet. The better quality rechargeable bike lights will give you consistent beam brightness as the battery discharges. The cheaper bike lights give you a very short period of time in full bright mode then rapidly fade as the battery discharges. The better ones like the NiteRider Pro have much more even battery discharge and the light brightness is much more consistent. Chances are, you’re going to encounter rain at some point during a ride. Even if you live in a desert, there’s a chance that you may get hit with a sprinkler or a random thunderstorm that results in rain. You don’t want your light to get ruined – especially if it’s dark out. It’s never a bad idea to opt for a light that is water-resistant or waterproof! Q: Is there any way I can deter thieves from stealing my light? A: Probably the most efficient way to go about this would be to use a stainless steel strap. These are very sturdy and tough to cut once installed properly. The other solution is to just take if off the bike and take it with you. Most are pretty small and compact enough to fit in your pocket. Q: Can I use bike lights in the daytime? A: As there is a lot of ambient light in the day, a steady burn light isn’t going to really stand out. If you do want to use it though, then make sure to set them on its brightest, most attention-grabbing setting it has. Most lights have a “strobe” mode, it will get noticed the most in the daytime. Q: How should I set them up for nighttime use? A: High-intensity, forward-facing lights should never be flashed or strobe mode at night, especially if they’re over 200 lumens. This is going to run the risk of blinding oncoming traffic. Not only will it potentially upset the driver/rider, but it can also make it hard to estimate your position and the speed you’re riding at. What we recommend, is having one flashing light, and one steady light. The steady light is to improve distance estimates. Try to avoid extreme strobing patterns, and use a pulsing pattern instead. Q: What do lumens, candlepower, and lux mean? A: The three main units to measure brightness are as follows: Candela (luminous intensity), Lux (luminous flux per area), and Lumens (luminous flux). Candela – measures absolute brightness going in one particular directions. This sometimes ranks the maximum brightness of a light. The value will be the same no matter how far away the light is, but can vary depending on the angle you are from the light. Lumens – measures the total output of a light source in every direction. They’re measured by using an integrating sphere, which uses a reflective sphere to normalize the light beam and measure the intensity. Lux – is lumens per area, so if you shine a light onto a surface and sum up the total amount of light hitting it, then divide it by surface area, you’ll end up with the lux. The brightness depends on the distance in which you measure it and you must know the distance which it was measured for it to be useful. The most commonly-used value among the three for measuring bike light brightness are lumens. Most manufacturers, as you may have noticed, utilize an “estimated” or “specified brightness based on the LED’s specifications at a particular power output. 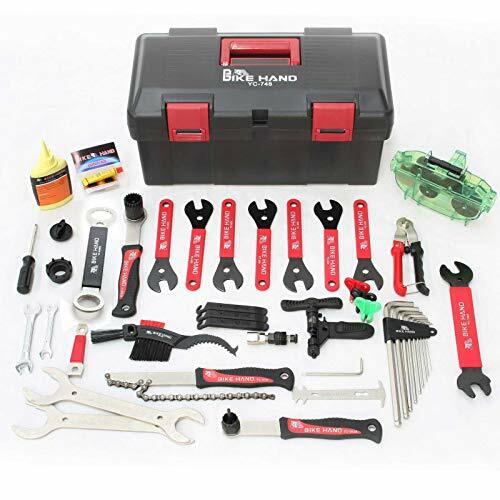 The actual brightness, however, will vary depending on the circuitry used, the light’s optics’ efficiency, operating temperature, and LED quality. To increase your visibility, wearing reflective full-length leggings and/or ankle bands can greatly help you out. Having reflective material on “moving parts” of your body can provide a better idea to motorists and other cyclists where you are and how fast you’re riding. If you’re going to be riding in areas that don’t have street lights, you’ll need something that is strong enough to light up the path ahead of you. A light with at least 50 lumens is generally going to provide a good beam pattern that will allow you to clearly see the sides of the road, without blinding oncoming drivers/riders! That’s a perfect balance. If you’re only going to be on well-lit roads/paths, you’re probably not going to need that number of lumens for your light. Always make sure you have more life than you think you’ll need. You never know when you have to make a detour, stop for a puncture, etc. You definitely don’t want to be riding in the dark and have your batteries run out. As a preventative measure, try to always carry some extra small lights or batteries if yours doesn’t use rechargeable. NiteRider – Best known for their off road bike lights. They make the gold standard with the Pro series bike lights that are brighter and have the best beam quality. Cygolite – Founded in 1991, similar to NiteRider all they make are bike lights. The TridenX is one of the best lights out there and is a good choice for on and off road use. Revtronic – Unlike NiteRider and Cygolite, Revtronic makes a wide range of lighting solutions with state of the art technology. Their bike lights are some of the brightest and best beam quality available. Using a bike light isn’t just for lighting your way, using one will decrease your chances of collision with a car. While this is probably obvious to you, finding the right style and type of light is the tricky part. Overall a rechargeable bike light with a wide, bright beam and a handle bar mount is your best bet for urban riding. The TeamObsidian or the Bright Eyes are good choices. For off road riding a versatile light that can be handlebar or helmet mounted with a large external rechargeable battery light the Night Rider Pro or Cygolite is a good choice. I hope this guide was helpful for finding the best bike headlight to fit your needs. If you want to comment or recommend a light I didn’t include, please use my contact form to get in touch. 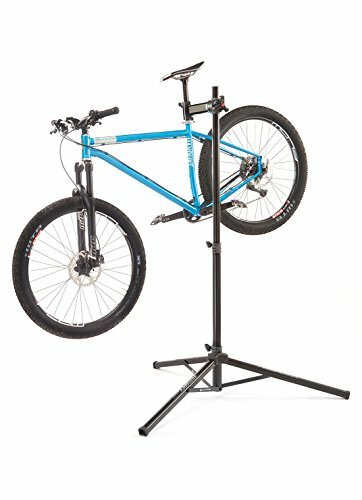 If you like to do your own bike repairs we review the best bike repair stands here and our favorite bike racks here. I have an older Niterider 600 light and just recently had the taillight stolen, but I thoroughly enjoy this light over another light that I lost the headlight with that NR 600 taillight. I was surprised to see that the Niterider light was in 5th place, but had a very high price and the number 4 light was even more expensive. Surprisingly the numbers 1 and 2 lights were very inexpensive and beat out the higher priced lights. I’m impressed by high level quality with affordability. I have some older rechargeable lights that I lost the recharging station to that are 10 lumens, which was a lot in their day. Thanks for the very good review. The pictures along with price will help more sales. The numbers are just for organization and might be a bit misleading. #5 on are my MTB lights, the Niterider is my top pick for the best MTB light. The review does not tell how long it takes to recharge the battery. It would also be good to know how long the battery will maintain a charge before it is used. You have a point. I will add those stats.